Haha I fooled you. They aren’t really. I’m feeling a tad tip-sy today so I am going to tell you about them, because I actually think you are a fool if you don’t even have a colossal countertop terminal, let alone a nifty credit card swiper. Just the other week I had my credit card IMPRINTED by some guy from the 1800s. Not a tick on the ‘customer service’ side I can assure you. So anyway. It’s well established that a good ol’ booking system and business management software should give you and/or your clients the opportunity to pay when they book or pay after. However, you aren’t actually left in the dark if you need to do a POS payment after they get massaged, or whatever it is you do. A credit card swiper is this awesome (sometimes ugly), relatively new way of paying via credit card. Normally, businesses plonk these colossal countertop terminals on their desk, attached via seventeen thousand cables to a very mystical place that, I have heard first hand, are not the best things they have spent a few hundred gold coins on. But! These new breathtaking swipers weigh (and cost) a few kilograms less and allow you to accept payments anywhere you are. I’m talking no colossal countertop terminals, no cables, no praying to the signal fairies; nothing. 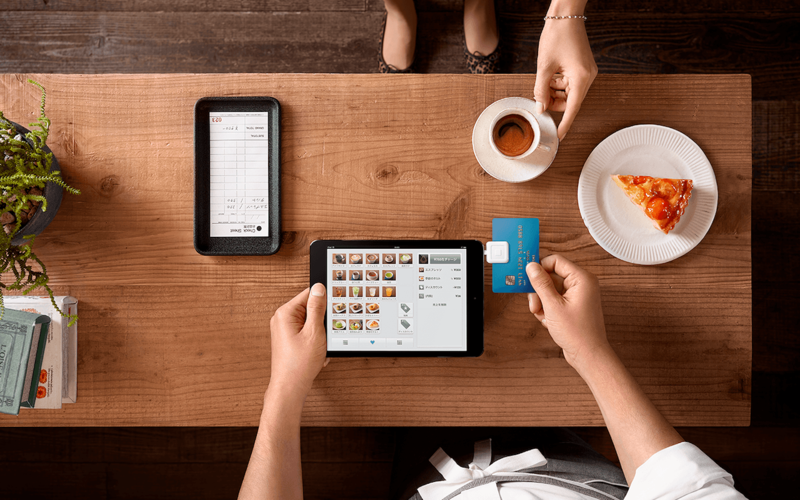 Just you, your phone or tablet and your card reader (hey you can even pop it in your pocket). Apparently these tap-able babies are more secure (what can be more secure than a 19kg colossal countertop terminal I don’t know but these seem to take the biscuit) and really quick; I’m talking next day payment type-speed. You even get lower processing rates (like 2% low) with a credit card swiper instead of a colossal countertop terminal. Spare is a phenomenal example of this, and look how cool it looks, like what I dream the year 3000 will look like, a true example of new age technology.